Please note: All patterns are in English only. 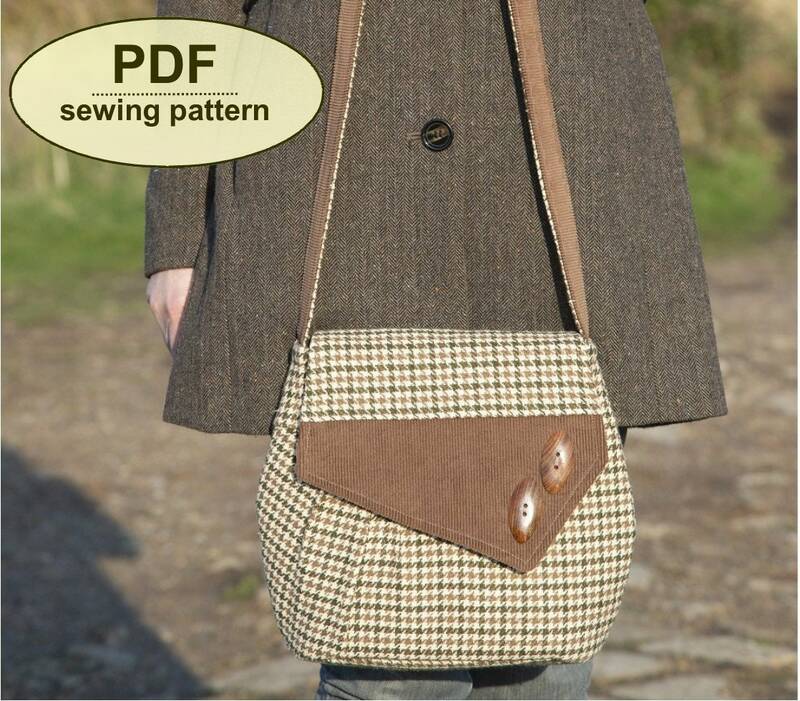 If you wish to make a few bags from Charlie’s Aunt sewing patterns or books to sell, please read the rules in the "additional information" section of our policies page. 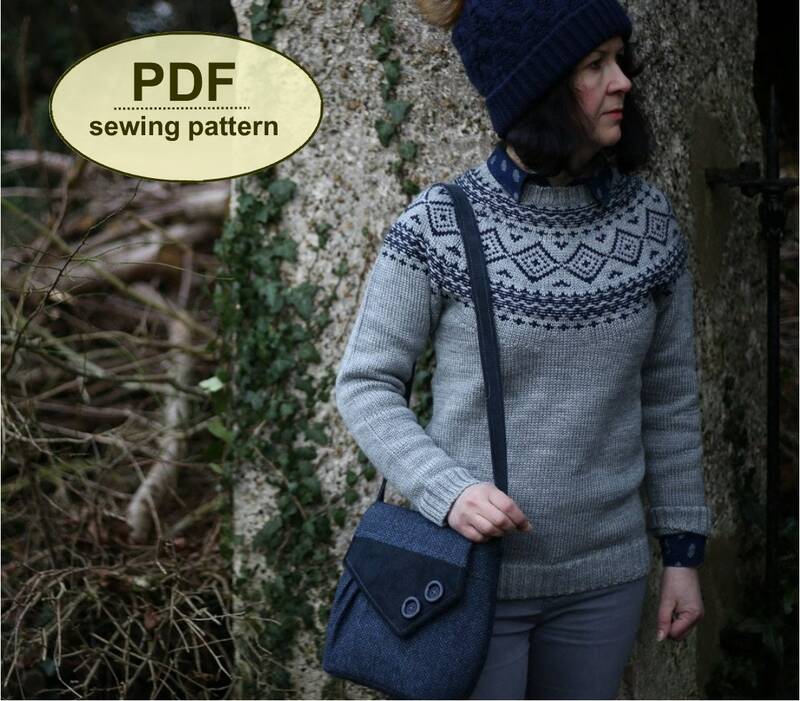 This is a PDF sewing pattern for The Bawdsey Bag, named after the east Suffolk village where radar research took place early in the Second World War. 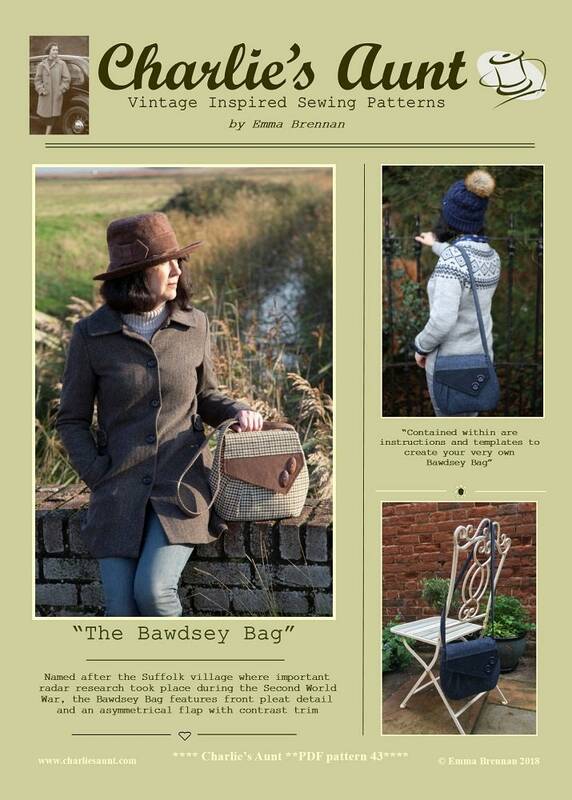 The Bawdsey Bag features front pleat detail and an asymmetrical flap with contrast trim. 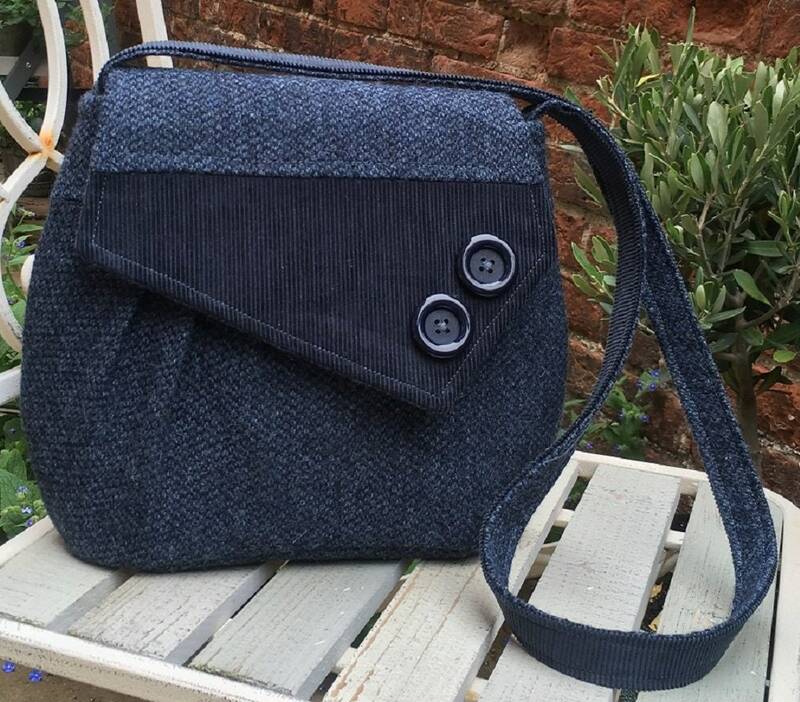 It is a medium sized bag with a long strap for practical but stylish day wear. Bawdsey is made with two toning or contrasting fabrics and is suitable for everything from wool tweeds and corduroy to decorator fabrics. The flap template doubles up as an interior pocket. 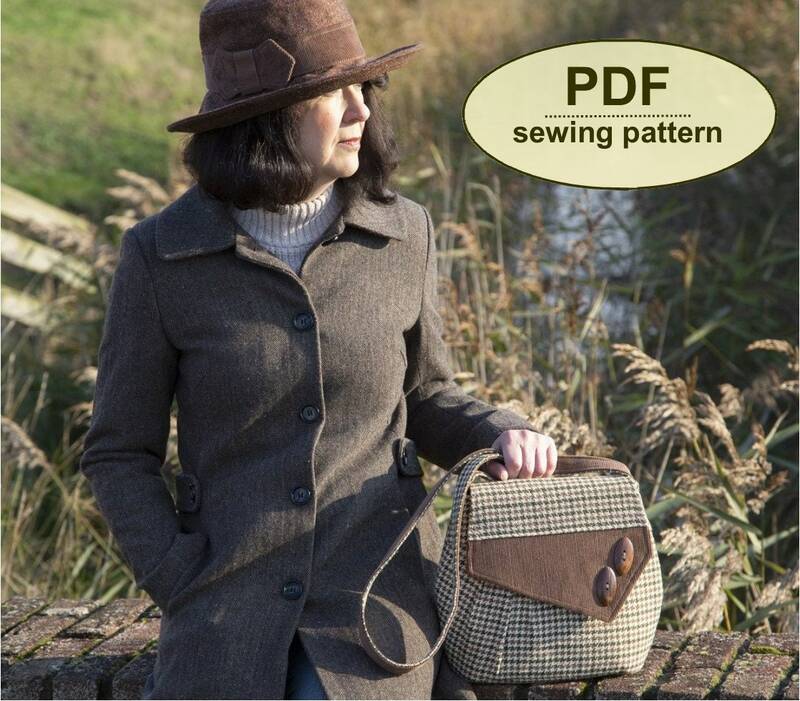 This PDF has 20 pages—10 pages including the cover, general, cutting out and step-by-step instructions, and 10 pattern sheets with the templates, which you must print and cut out. All of the templates are actual size and all seam allowances already added. As three of the templates are too big to fit on one sheet, you must cut out and tape these templates together where shown. Instructions for this are clear.